David Fellers is the son of Jack & Connie Fellers of Englewood, OH. Along with his wife, Barbara, David has been the owner of the Gilbert-Fellers Funeral Home since October 18, 1990. David & Barb are the proud parents of 3 very wonderful children: Matthew, who joined the staff at Gilbert-Fellers in January of 2009, has a bachelor's degree in Mortuary Science, and he is a licensed Funeral Director, Embalmer and Life Insurance agent; Andrew has a bachelor's degree in Human Biology from Kettering College of Medical Arts, and he received his MD from Loma Linda School of Medicine. He and his wife, Katarina (Viitala) are currently residents of Mishiwaka Indiana, where Andrew is serving his residency and Rina is a Physician's Assistant. Brianne lives in Arcanum with her husband Kyle Turner and their daughter, Robin. Kyle is a licensed Funeral Director, Embalmer, and Life Insurance agent. Brianne is a graduate of Lee Univ. in Cleveland TN. David also has a sister, Lisa, who is a gifted students teacher in the Northmont City School District. David is a 1979 graduate of Northmont High School. He played three years of Varsity Football for coach Ned Booher. He was an all-state receiver his senior year, and was the leading receiver for Northmont's only back-to-back undefeated football teams in both his junior & senior years. He is a member of the Northmont Football Hall of Fame. David also played three years of Varsity Basketball for his father, Jack Fellers. David & Barbara (Reisert, a 1979 grad of Milton-Union High School) were married in the Hoffman United Methodist Church in West Milton, OH on September 19, 1981. David graduated from the Cincinnati College of Mortuary Science in September 1982. 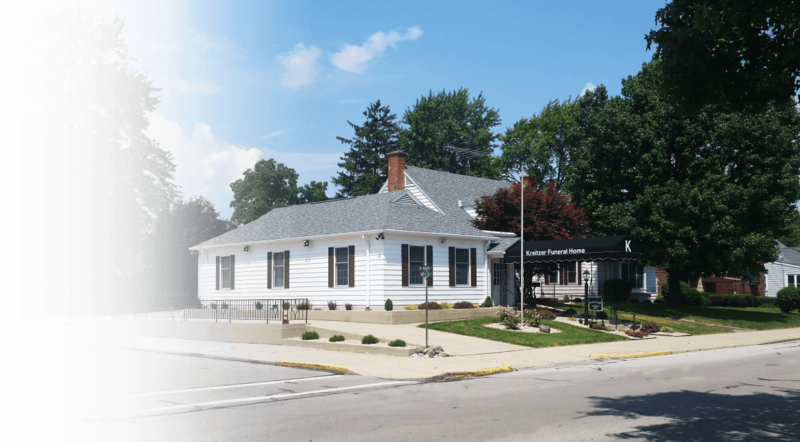 He began his funeral service apprenticeship at the Foth-Dorfmeyer Mortuary in Toledo before moving to Miamisburg, OH to work at the Gebhart-Schmidt-Parramore Funeral Home, where he recieved his licenses as an Embalmer & Funeral Director in January of 1984. David moved to Brookville in December of 1985 with his wife Barb and young son Matthew, to work for Robert & Marjorie Gilbert at the Gilbert Funeral Home. Following Mr. Gilbert's death in 1990, David & Barbara bought the company which officially became Gilbert-Fellers Funeral Home on Jan. 1, 1991. David currently attends Christian Life Center in Vandalia, OH, and both Barb & Dave have been on CLC mission trips to Swaziland in Africa. They are involved in the leadership team for the Africa Missions Team at CLC. David also spent five different seasons as the Brookville High School Varsity Soccer Coach, resigning after the 2009 season. His teams had a .500 winning percentage or better in every one of his 5 years as head coach. David is a Past-President of the Brookville Rotary Club and a Paul Harris Fellow with Rotary International. He has been the Chairman of the Brookville Community Service Clubs Golf Outing since it's inception in 1996, and during that time, the golf outing has raised over $100,000 for the local Brookville Community. He currently holds memberships with the Ohio Funeral Directors Association and the National Funeral Directors Association. He enjoys playing golf and going on vacation with his wife and children.